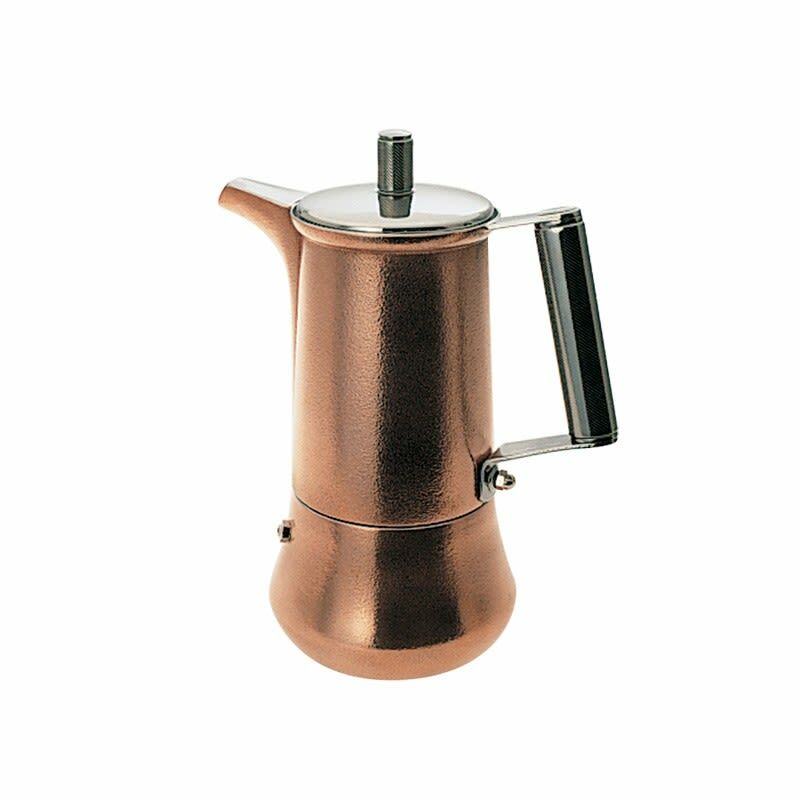 Genesis is the stylish yet retro stainless steel moka espresso maker copper-coated using plasma technology. Serving from 3 to 6 cups thanks to the special filter, it is equipped with a special anti-burn handle made in steel and perlite. An accessory that will accompany your coffees with a touch of classic style.